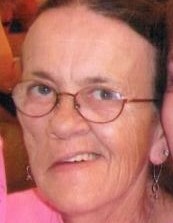 Linda L. Wetherwax, 66, of 36281 S. Main St., Antwerp, passed away peacefully on January 31, 2018 at home where she was surrounded by her loving family. Born on December 26, 1952 in Watertown, NY daughter of William E. and Mary E. Gardner Ashley, she attended Carthage Central School. She married Donald C. Wetherwax on March 1, 1965. Mr. Wetherwax worked for the Roofers Union 195 out of Syracuse and for Farley Roofing in Gouverneur for several years. Linda started out her career as a nurse’s aide at Mercy Hospital. For most of her life she has been a cook and worked on Fort Drum at the Officer’s Club, NCO Club and at the Fort Drum Chapel Drive Child Development Center up until she retired. She has been an avid Kyle Busch Nascar fan, she loved spending time with her grandchildren, doing cross-stitch, drinking coffee and going to the casino. Among her survivors are her beloved husband, Donald C. Wetherwax, Antwerp, her three children, Earl K. Wetherwax and his companion Ava Riley, Black River, Todd P. and Jodi Wetherwax, Philadelphia, Bobbi Jo Wetherwax and her companion David Prashaw, Antwerp; six grandchildren, Derek, Brianna, Jeffrey, Kailee, Blake and Jackie; two great grandchildren, Katelynn and Tanner; two sisters, five brothers in law and three sisters in law, Bonnie J. Ashley, Calcium, LouAnne and Edward Charlton, Pamelia, Ken I. Mitchell, Carthage, Gerry R. Walts, Evans Mills, Judy Ashley, Robert and Merle Wetherwax, Rodman, William and Carol Wetherwax, Avon, NY; several nieces and nephews. Besides her parents she is predeceased by two brothers, David E. and George C. Ashley and three sisters, Sharon M. Ashley, Jackie L. Ashley and Tina M. Mitchell. Calling hours will be held 2 to 4 p.m. Sunday, February 3rd at the Bruce Funeral Home, 131 Maple St, Black River. The funeral service will follow at 4 p.m.at the funeral home. Burial will be held in the Evans Mils Cemetery in the spring. Donations may be made to Hospice of Jefferson County 1398 Gotham St., Watertown, NY 13601. Online condolences may be made at www.brucefh.com.